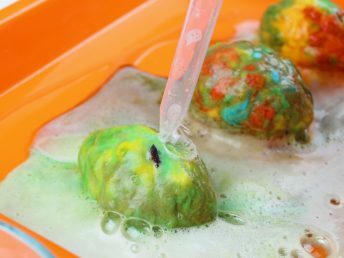 Explore chemical reactions in this fun Witches Brew Science Experiment! Kids will have a blast creating their own potions while learning how to compare and contrast the reactions of different materials. 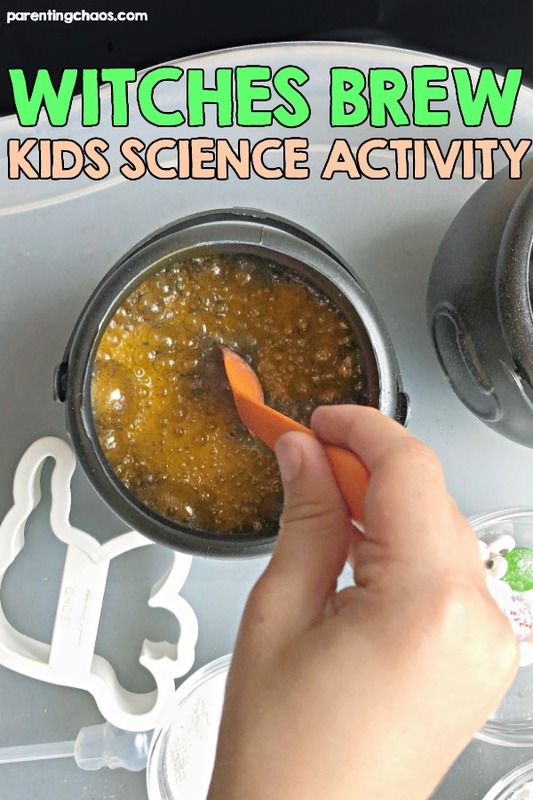 This witches brew science experiment can easily be a fun stand alone sensory activity that can very easily be adapted into a science experiment. Every time we pull out one of our fizzy sensory science activities all my kids, ages 2 to 11, jump in to play! These two items are completely optional. Feel free to skip them if you just want to create potions! To make this witches brew you don’t really need to do much. Simply set out the items on a tray or other surface that can get messy and let kids explore! One of the great things about using this witches brew as just a sensory activity is that it uses citric acid. In the past we have done quite a bit of fizzy sensory bins using vinegar…and well vinegar has a very harsh smell. For kids that struggle with scents, a vinegar sensory bin won’t be the most fun. Citric acid though is scentless. It’s the perfect alternative to still do those fizzy activities with sensory sensitive kids. 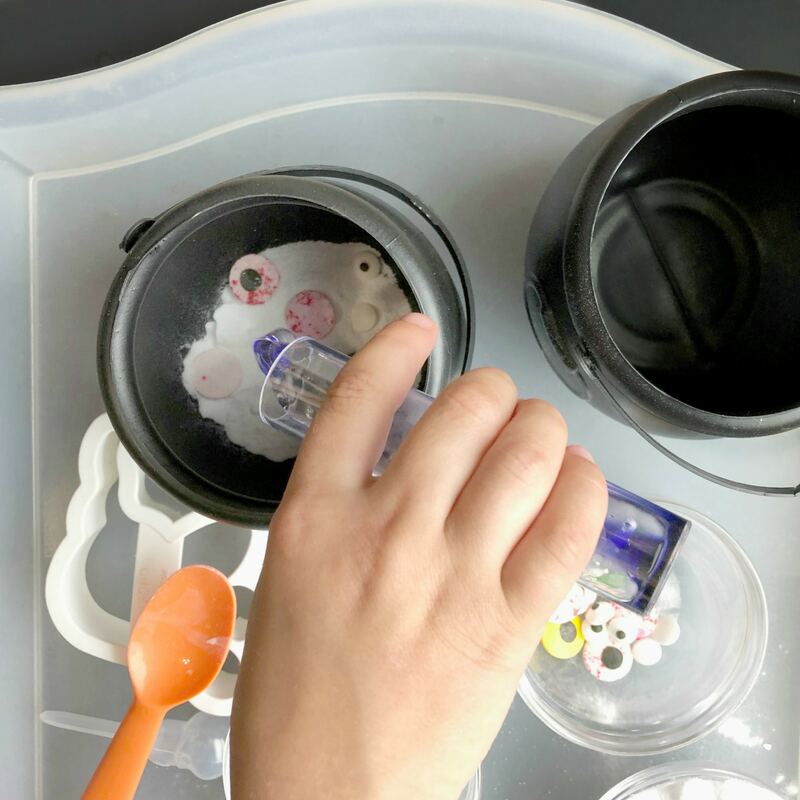 To turn this sensory activity into a science experiment you will have to provide kids something to test. When we did this activity we tested four different variables to see which potion would fizz up the most. You could even take it a step further and test ratios of each to see if there is a magical ratio to the perfect potion! And if you aren’t getting ready to experiment with this witches brew right this second, then pin this post so you can easily find it later!